Marshes. Photo © by Judy Wells. View from historic district pier. Photo © by Judy Wells. 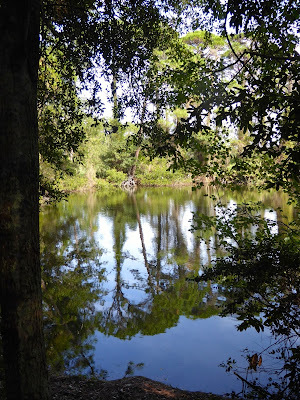 On one side of Jekyll Island, GA, the Intracoastal Waterway is a highway for boaters and the Marshes of Glynn a nursery for thousands of aquatic species. The Jekyll Island Club, founded by America's industrial millionaires who traveled here in their massive yachts for the winter, welcomes contemporary sun-seekers and the millionaires' "cottages" provide insights into the good life of the early 1900s. North end of Driftwood Beach. Photo © by Judy Wells. On the other side, the Atlantic Ocean rolls onto 10 miles of sandy beaches and the brand new oceanfront Westin Jekyll Island provides modern amenities to beachcombers. Nature is never far away. Photo © by Judy Wells. 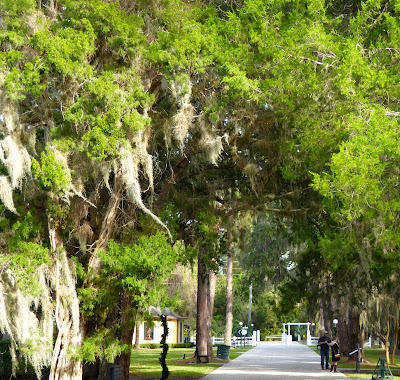 In between, golf courses, nature areas and 600 houses are hidden within a maritime forest and massive, moss-hung oaks. It also is blissfully flat and accessible to us Levelers. 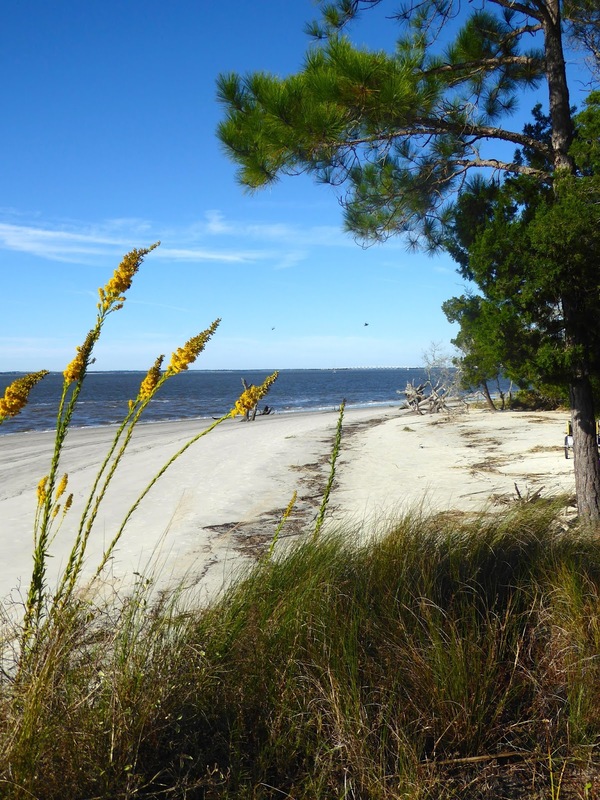 Millionaires put Jekyll Island on the map and the state of Georgia protects its near pristine condition. The rest of us get to enjoy it. Best of all, "new" things may be built but will never usurp more of the natural island than what is currently there; 65 percent remains undeveloped. The Westin is definitely a new thing, having opened in 2015. It still had that new hotel smell when I was invited up along with other travel writers to check it out during Jekyll Island's Rededication Weekend in November 2015. 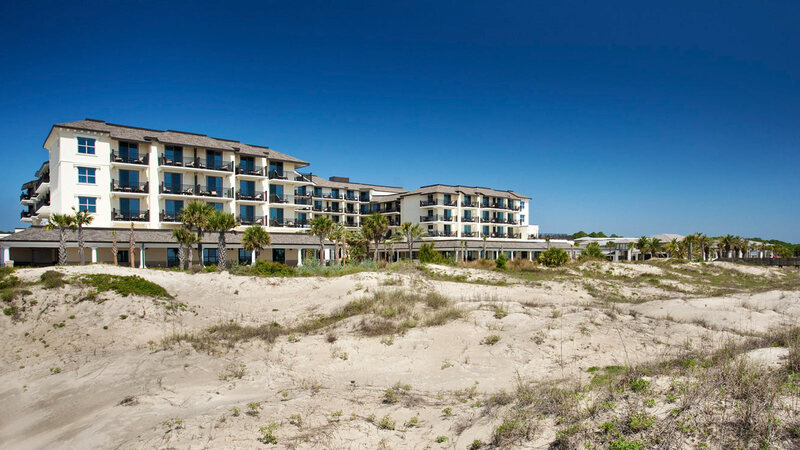 With 200 rooms, many ocean-view, 5,350 square feet of meeting space and the beautiful Jekyll island Conference Center and Beach Village shops as next door neighbors, it is the perfect choice for levelers. Stairs and steps are minimal. You will encounter four between the lobby and the oceanfront patio and a flight with landing going up to have a cocktail and enjoy the view from the small outdoor bar. From lighting to menus, the Westin is green-centric. Special outdoor lights and blackout drapes prevent turtle hatchlings from confusing landward illumination with the moon so they will head to the ocean instead of roads. 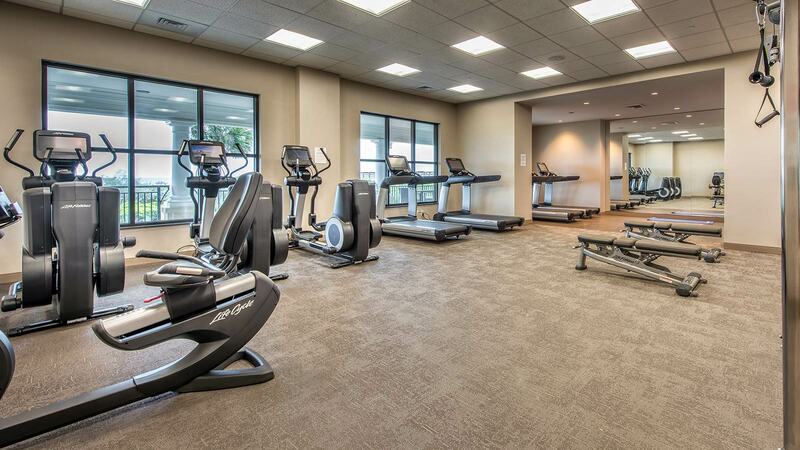 You can receive a $5 voucher or 500 Starpoints for each day you by opt out of housekeeping during your stay. If hiking around the island doesn't fill your workout needs, the gym here is one of the best I've seen in any hotel and the view is hard to beat. Styling is spare, neutral, airy and contemporary with guest-friendly touches like urns of fruited water in the lobby and Apple computer stations nearby. The old black working rotary phones opposite the elevators on each floor are a nice touch, but it will be the staff that you remember. Friendly, engaging and eager to assist, they bring warmth to every guest's stay. On the island's other side, The Jekyll Island Club wears its Victorian heritage and style proudly. 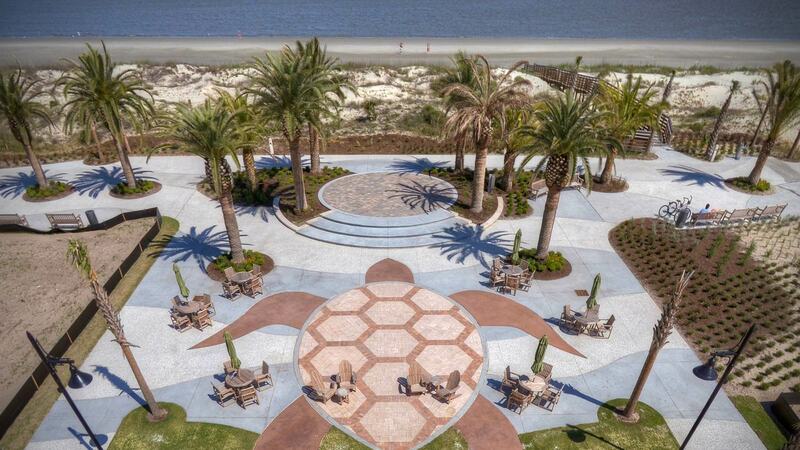 Jekyll Island Club Hotel. Photo © by Judy Wells. J. P. Morgan and his well-to-do pals with names like Rockefeller, Pulitzer, Fields and Crane bought the island and established the club as a hunting lodge in 1886. It soon became winter headquarters for 100 multi-millionaires and their families. They arrived in their yachts and private train cars for New Year's and hunted, rode, gamboled on the beach, partied and played golf, tennis and croquet until Easter. Some built "cottages," others stayed at the club. The outbreak of World War !! ended their idylls and the island was eventually sold to the state of Georgia to become a state park. Today rooms are available in the Club and in two of those cottages with a number of good dining and recreational opportunities for guests and day-trippers. Tip: There is a small, wheelchair-sized outdoor lift at the main entrance but Levelers may be challenged by the stairs indoors and at other entrances. There is one handicap accessible room at Crane Cottage and another at Cherokee. A shaded walk in the historic district. Photo © by Judy Wells. Put yourself on island time; no reason to hurry. Jekyll is an island made for ambling. Paved sidewalks connect cottages to be toured, the club, its pier, outbuildings and shops in the historic area. 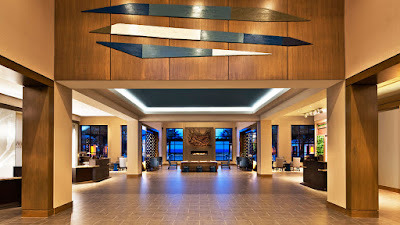 The contemporary Beach Center with its shops, restaurants, market, convention center and the Westin are within a convenient two-block area with adjacent parking. 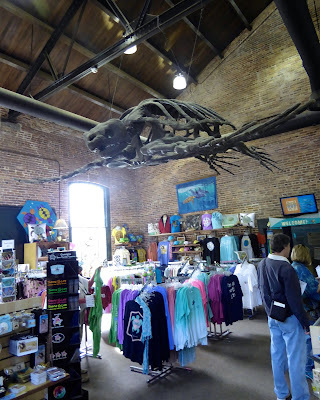 Gift shop, Georgia Sea Turtle Center. Photo © by Judy Wells. How many wearable, decorative, playful or utilitarian objects are or have a turtle on them? You will be amazed how many when you enter through the gift shop of The Georgia Sea Turtle Center. Rehab Center. Photo © by Judy Wells. Founded and operated by the Jekyll Island Authority, the center's goal is to help conserve these fascinating creatures through rehabilitation, research and education. Since it opened in 2007, sea turtles have become the island's mascot and go-to logo. Loggerheads return to Jekyll Island each year to lay their eggs as do Leatherbacks and Green Sea Turtles. Rehab Center resident. Photo © by Judy Wells. 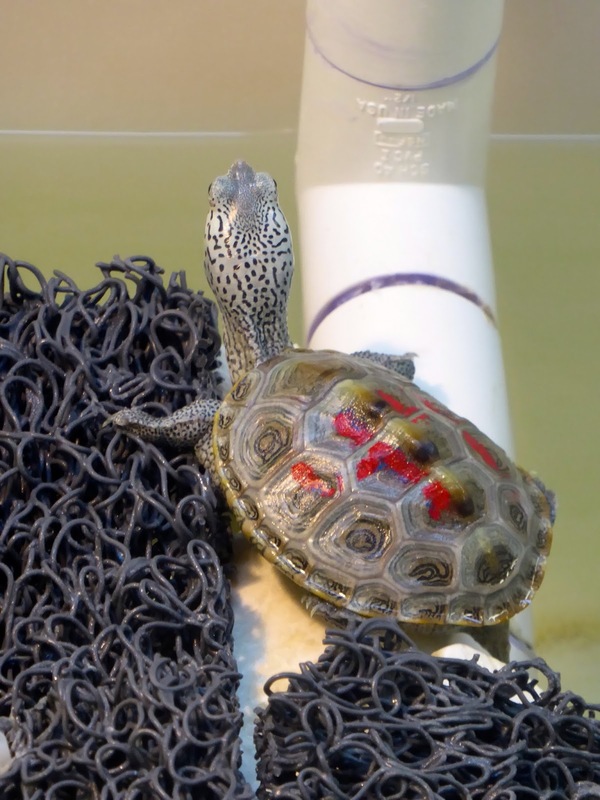 In addition to interactive displays, visitors can visit the rehab center where injured turtles are cared for (60 percent are successfully returned to the wild) and meet the patients. 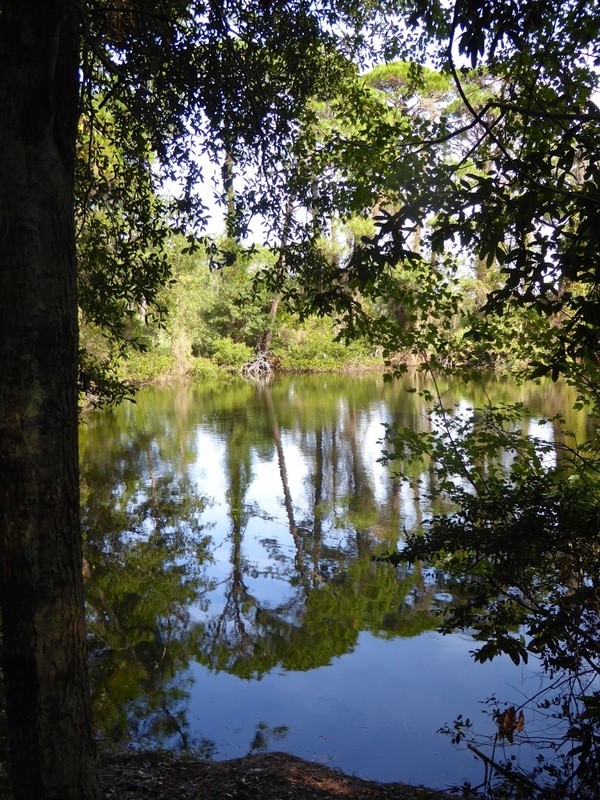 Active programs include turtle patrols, walks, field trips and gatorology. Driftwood Beach. Photo © by Judy Wells. Driftwood Beach, a stretch of picturesque tree skeletons, is especially popular with romanticists, picnickers, brides and grooms and photographers. 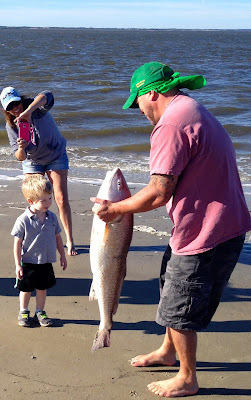 With a fishing pier at one end, anglers love it too. Take a horseback ride on the beach. Rides, from one to three hours, are available sunrise to sunset Tuesday through Sunday from Three Oaks Farm. duBignon Cottage is one of the historic homes in the historic district. Photo © by Judy Wells. Explore the historic district. There is a 90-minute narrated tram tour with entrance into two restored "cottages" that is perfect for Levelers. Play tennis at the Tennis Center or a round of nine, 18 or more of golf on the island's 63 holes. Go smaller with a game of putt-putt. Geocache. Tour the historic district by foot or on a narrated tram tour. Learn something. 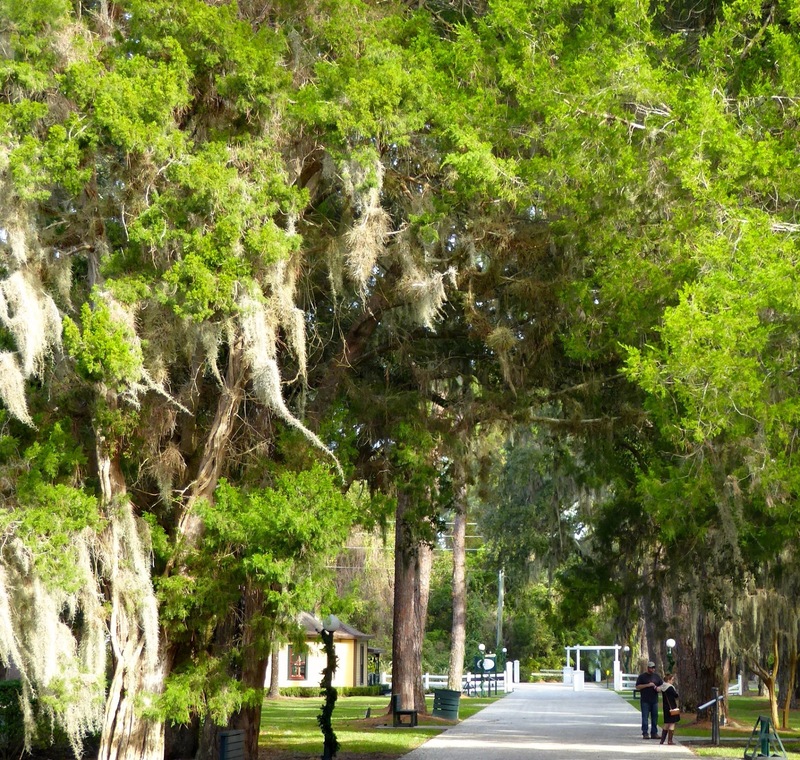 The Jekyll Island Club offers a plethora of opportunities throughout the year with special weekends focusing on photography, nature, craft beer, yoga, cooking, even ghost hunting. Relax, read a book or get lost staring out to sea. It's that kind of place. If you want to do it on the beach, The Jekyll Market will sell you a plastic growler of craft beer. Cyclists abound. Photo © by Judy Wells. Bicycles and adult tricycles are a favorite means of transport for visitors and the 600 residents as well. The island is Leveler friendly in that you can usually park within a short, flat walk of where you want to be. For something different, rent an electric "red bug" car from Redbug Motors. These electric cars are named for the first vehicles rented on the island.